After IMG Reliance and DSport snapping their ties with Pakistan Super League 2019, post Pulwama attacks on February 14, 2019, even Cricbuzz and Dream11 have also joined the bandwagon. Cricbuzz, which is owned by the Times of India has stopped covering the PSL 2019 matches. When the user attempts to reach PSL page the site reads “Invalid URL entered.” Mumbai based Dream11 Fantasy Cricket company has also imposed a ban on the PSL matches and any content related to the game has been taken down. Pulwama Attack Aftermath: BCCI Removes Pakistan’s Archives from its Headquarters. Post IMG Reliance and DSport snapping their ties with Pakistan Super League, found a new partner to tie up with. In a press conference which was held today, the PCB informed, “The Pakistan Cricket Board today announced the consortium of Blitz and Trans Group as the new live production partner for the HBL Pakistan Super League 2019. 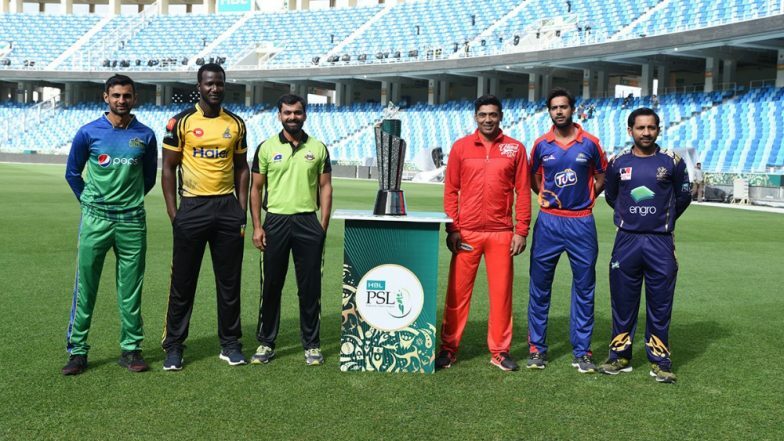 Blitz is the PCB’s broadcast partners in Pakistan, while Trans Group is the event management partners.” The coverage of the matched will begin from February 20, 2019. Pulwama Attacks: Himachal Pradesh Cricket Association Removes Imran Khan’s Picture in Dharamshala. Meanwhile, there have been voices in the BCCI to boycott India and Pakistan match at Manchester during ICC Cricket World Cup 2019. Even the state cricket associations like PCA, CCI, HPCA, RCA have removed the posters and pictures of Pakistani cricketer Imran Khan as a mark of protest toward the Pulwama attack which claimed the lives of 45 CRPF men. Even the BCCI in its headquarters removed Pakistan related archives from its headquarters in Mumbai.